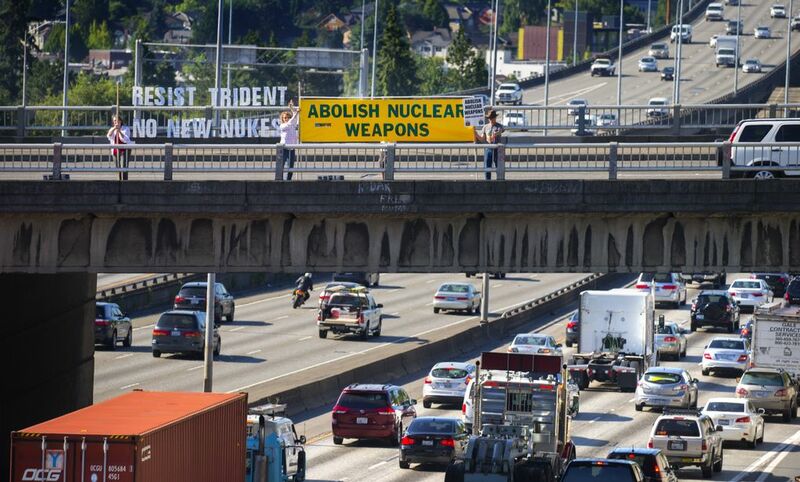 Why aren’t more people freaking out about the nuclear warheads sitting 20 miles from downtown Seattle? 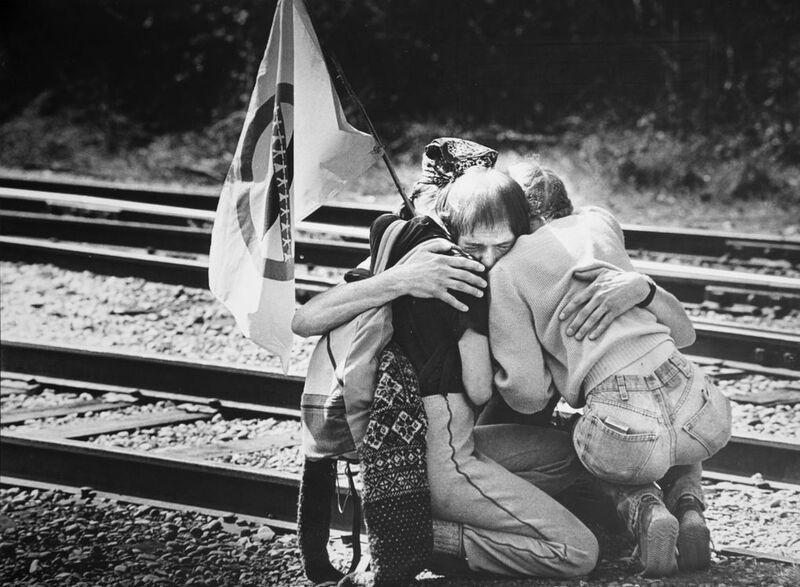 With so many social justice issues to consider, most of today’s young activists are taking a pass on the peace train. JADE LAUW WOULD LIKE to upset you. Maybe even ruin part of your day or, better yet, question your very existence. None of this is born of surliness. She simply has assigned herself a civic duty (remember those? ): to make the rest of us look unimaginably destructive nuclear weapons in the eye. Or, failing that, at least glance at them over our shoulders, where surprising numbers of nukes have long lurked, right on Puget Sound. 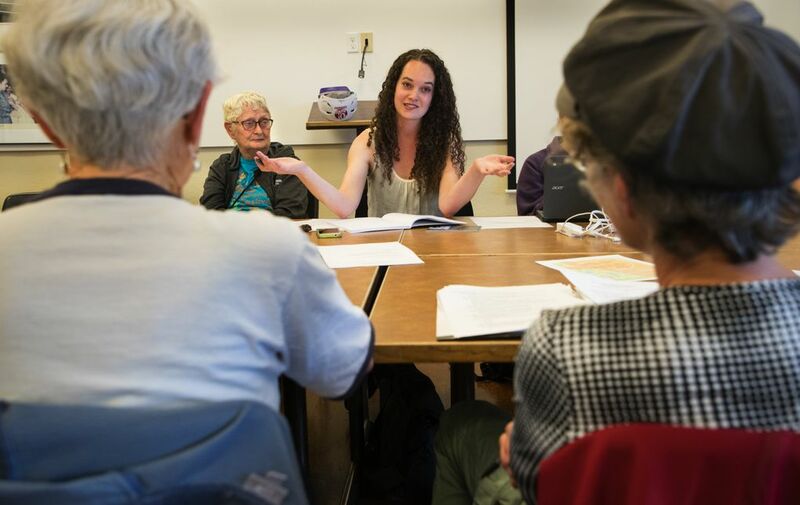 At age 20, the University of Washington senior already has enough experience in anti-nuclear activism to accept the reality: Most local people, natives or newbies, are willfully ignorant about the massive stockpile of nukes — a number sufficient to wipe out a good portion of the planet — sleeping in their midst every day. Lauw thus leaves herself open to the charge of being Not Much Fun at Parties, one of which she recently dampened by asking celebrants whether they knew about the still-lingering radiation effects of U.S. weapons-testing in Micronesia, nearly seven decades ago. “People were like, ‘Are you drunk?’ ” she recalls. Sober as a judge. And frustrated. Her university peers, she points out, are far from alone in paying as little attention as is humanly possible to the unpleasant subject of nukes, which, since the Cold War that gave birth to them, have become broadly accepted as a safe/sane part of America’s military deterrence. Even many Americans old enough to remember the big bomb’s coming-out party tend to think of them as a relic of their own dusty, duck-and-cover past. Human nature being what it is, it’s easy to look away. And most of us do. The average Puget Sound resident probably spends more time worrying about proper accounting procedures in the occasional Seattle’s Best Burger poll than freaking out about the massive concentration of nuclear warheads sitting 20 miles from downtown Seattle, as the radiation flies. 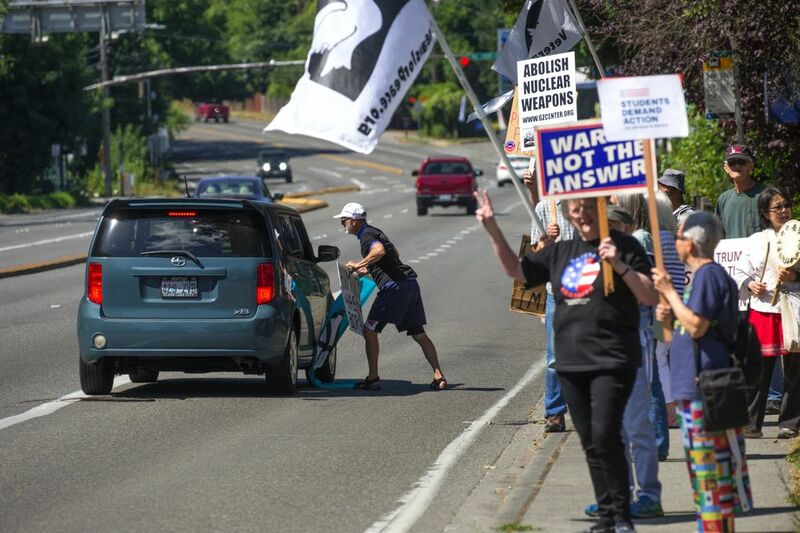 THAT’S THE FRUSTRATION — and motivation — lurking within a shrunken-but-persistent local peace movement, which blossomed in the late 1970s and early 1980s with large-scale Ground Zero Center for Nonviolent Action protests of the arrival of the first Ohio-class nuclear-missile submarines at the Naval Base Kitsap (a merger of Naval Station Bremerton and Naval Submarine Base Bangor) on Hood Canal. Ground Zero became a neighbor to the Bangor base, buying property along its fence and establishing a stubborn vigil, which continues. 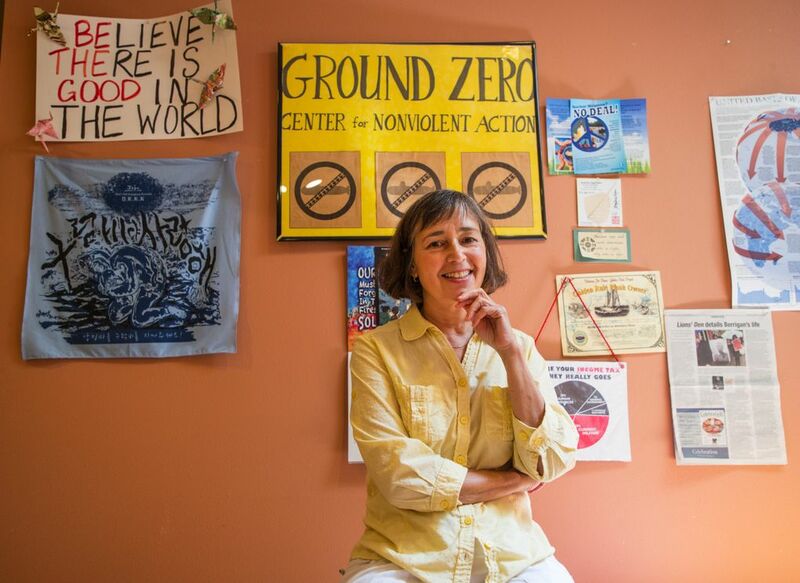 These days, that 3.7-acre center’s lone resident, Elizabeth Murray, a CIA former analyst, says the group isn’t going anywhere. And its activist eyes are more focused on booming Seattle than the eerily quiet base out back. With current political realities, that task, she believes, is more critical than ever. It also might be more difficult than ever, largely because of what almost all local peace activists acknowledge is a gaping generation gap in the movement. Young activists such as Lauw, an intern with Washington Physicians for Social Responsibility, are rare. 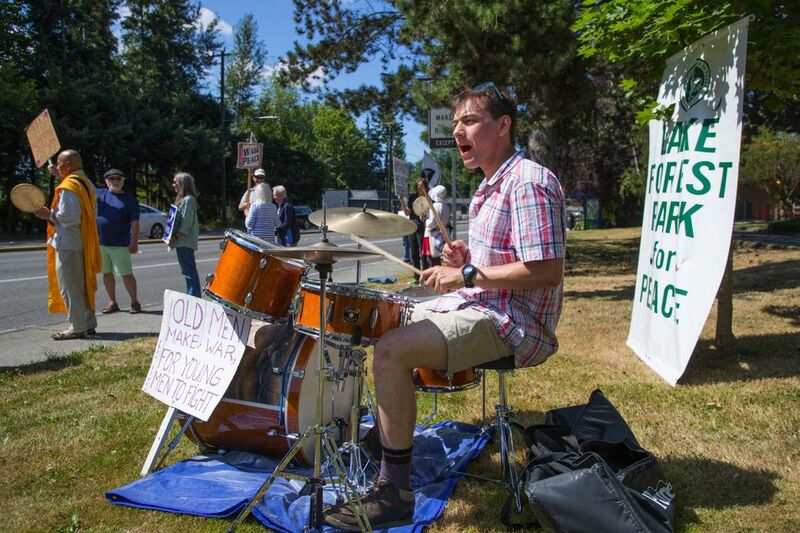 The Puget Sound peace movement is long in the tooth. 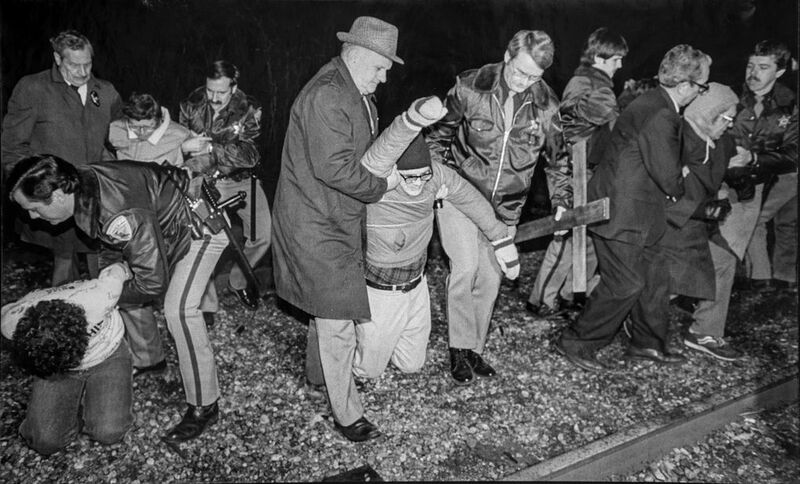 In its heyday of the late 1970s and early 1980s, when the Bangor base was young, “white train” protests there drew thousands and led to mass arrests. The most recent Ground Zero action, on Mother’s Day, attracted 42 souls. 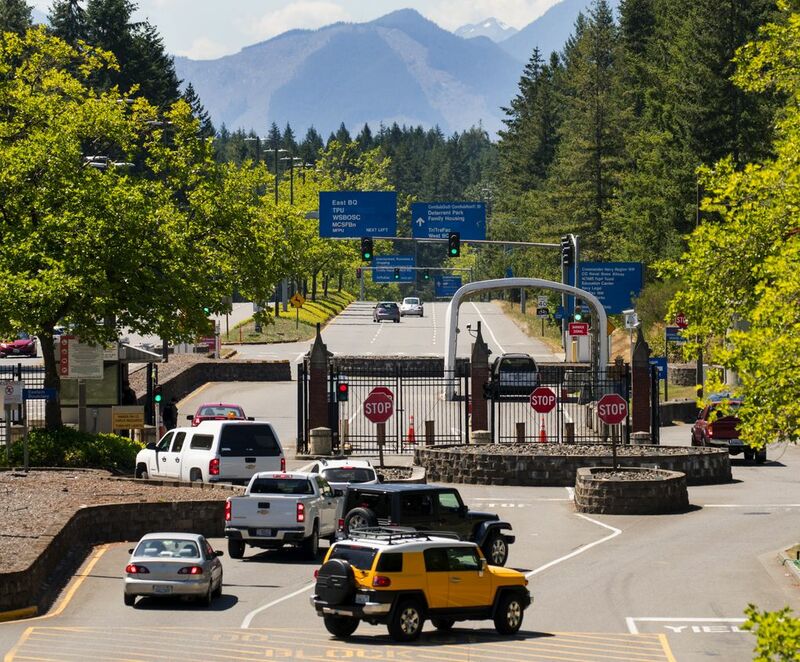 The 10 people apprehended for crossing onto base property were cited and released, and had to request court hearings to make public statements about their purpose. Their average age: 68. Most of America’s Generation Next is otherwise occupied — fighting its own battles for social justice, the environment and other causes. 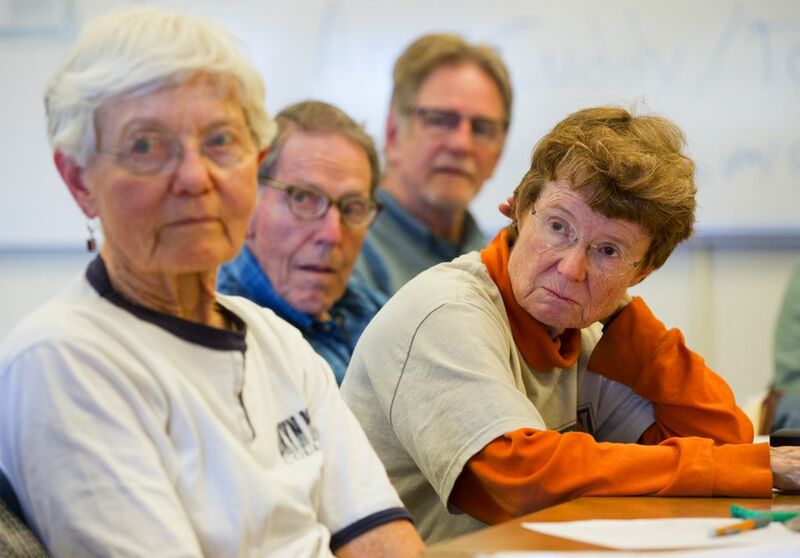 Older movement members support that upward trend in youth social activism. 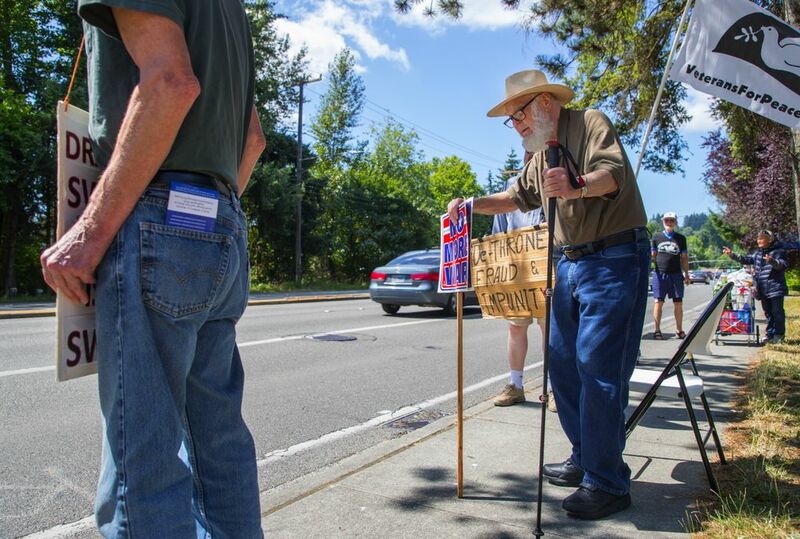 But as many of them increasingly find their protest signs handily serving double duty as walking canes, they can’t help but wonder what’s been gained — and what comes next. The question none of them really wants to ask: In an age when nuclear weapons still linger as a viable threat to humanity, and long-established international orders seem to be tilting, is peace now passé? • The United States, the world’s primary nuclear power, currently has about 1,345 deployed strategic nuclear weapons mounted on ballistic missiles (400 on intercontinental missiles, 945 on sea-launched missiles). 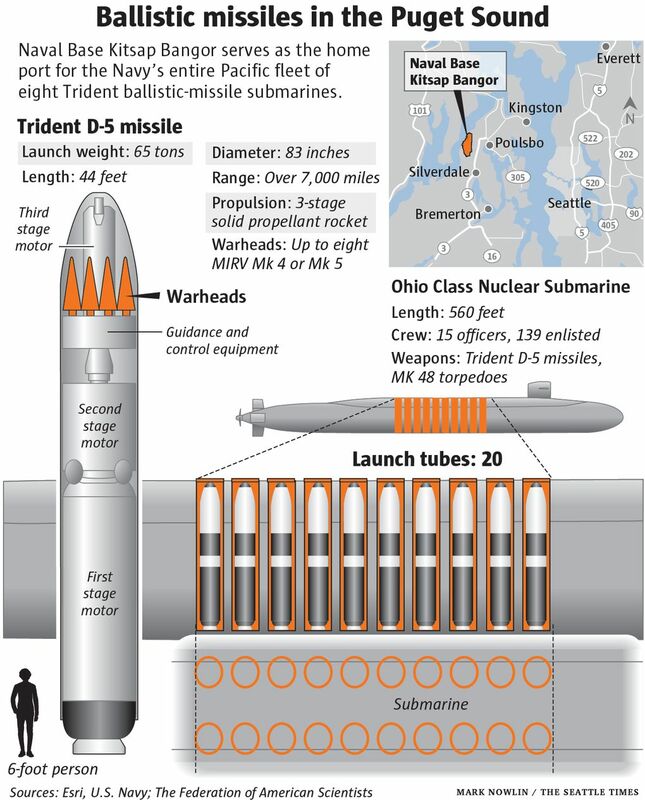 • Most of the latter group is on Trident D-5 missiles contained in Ohio-class submarines. Eight of the nation’s 14 Ohio-class submarines are based at Bangor in Kitsap County; six are believed active at a given time. • A single sub carries an estimated 90 warheads on its 20 onboard missiles; collectively, each “boomer” sub packs an explosive force equivalent to roughly 1,000 Hiroshima-sized nuclear bombs. About 540 of these warheads are estimated to be deployed on active Bangor-based submarines. • The big take-away: Bangor’s submarines and its heavily guarded SWFPAC storage facility make it perhaps the largest single repository of active nuclear weapons in the world. At any given time, depending on sub deployment, nuclear weapons sufficient to wipe out much of humanity are located 20 miles northwest of Ivar’s Acres of Clams. 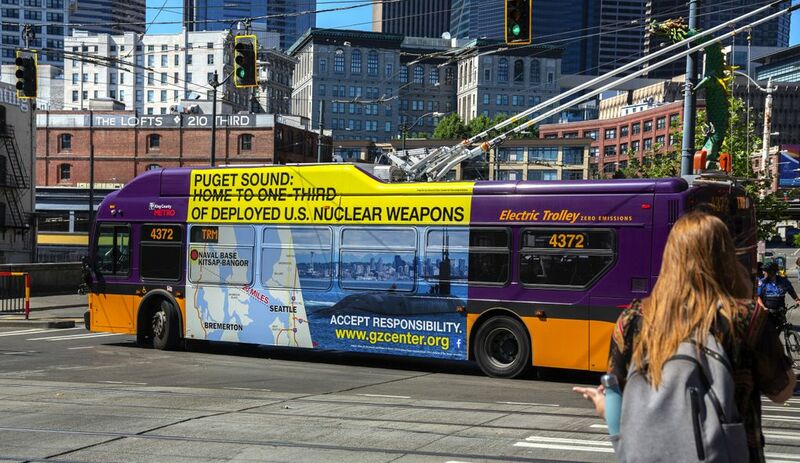 If existing political lines were erased from the global map, the Puget Sound area would likely be among the world’s three largest nuclear powers. AROUND SEATTLE, some people are aware of this stockpile; most are not. Ignorance of the large numbers of nukes might be higher per capita today than ever, given the large influx of newcomers, who presumably don’t get a “Nearby Nuclear Warheads!” brochure from the state of Washington with their change-of-address packet. Despite what now is a decades-long track record of handling these weapons relatively safely (a string of missile-handling incidents has been documented; the most recent was in 2003), Ground Zero Center folks, stubborn to the core, believe this is a problem — and that you should, too. 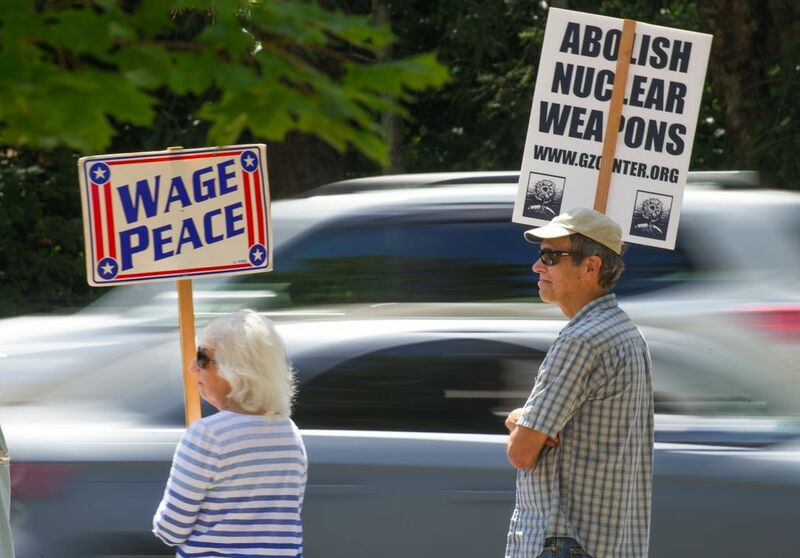 The coexistence of large numbers of nukes with a population broadly defined as left-leaning is a perplexing disconnect, activists say — one they maintain calls for an awakening and commensurate political push for weapons curbs. Yet after decades of similar sentiment, this simply has not happened, locally or nationally. Nor is it likely in the short term, given that the region’s staggering arsenal arrived at the behest of Democratic politicians. 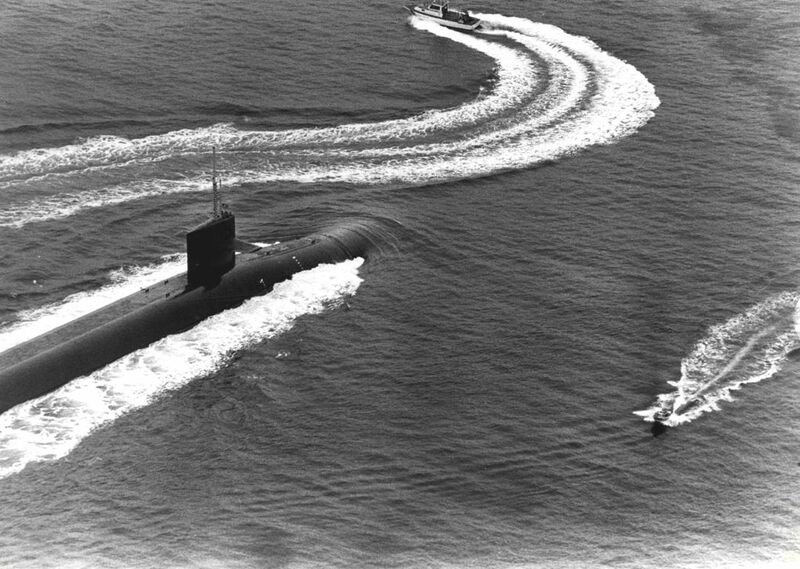 Bangor, in fact, was selected as the West Coast ballistic submarine base largely because of the political muscle of senators Warren Magnuson and the hawkish Henry M. Jackson (the latter has a “boomer” sub named in his honor). And today’s state Democratic Party still publicly supports a prolific military presence — including Joint Base Lewis-McChord, Puget Sound Naval Shipyard, Naval Base Everett, Whidbey Naval Air Station, Fairchild Air Force Base and other facilities — as a financial bulwark for the region. Given this admittedly uphill political climb, peace activists today mostly preach anti-nuke sermons on two fronts: the moral imperative to oppose weapons that literally could wipe out human life on the planet, and the more-practical aspects of the tremendous share of U.S. federal spending that makes its way to the military. The latter issue is newly pressing due to the pledge, first made by President Barack Obama and now echoed by President Donald Trump, to “modernize” the nation’s nuclear arsenal, a loosely defined goal with a $1.7 trillion price tag. BUT IS ANYONE ELSE listening? Apparently only in small doses. Activists say citizens, once educated, often are motivated to act, even in small ways such as letter-writing. But getting people to that precipice has proved difficult. And the longer people live among the nukes, in perceived harmony and without catastrophe, the more challenging it becomes. 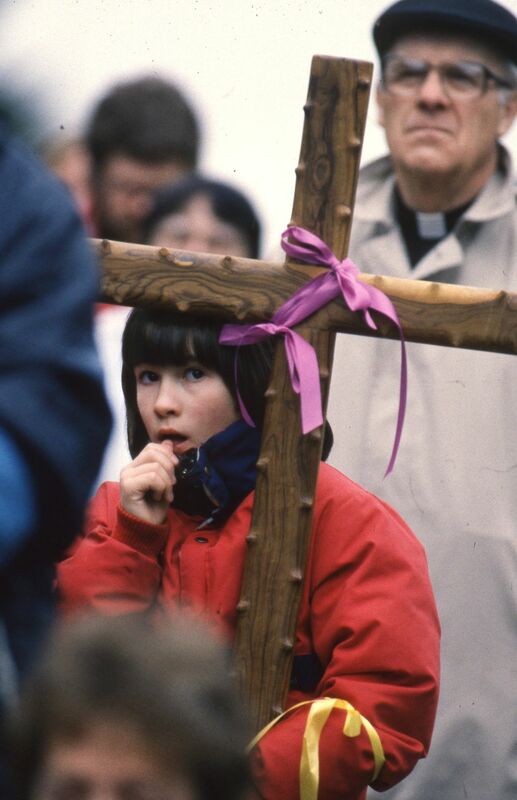 Each passing year since the 1945 nuclear attacks on citizens of Hiroshima and Nagasaki numbs the pain of their memory. Most Americans who could recall the bombings and their horrific aftermath are now gone. Even the Cold War, the height of nuclear proliferation, when the United States alone was believed to have possessed some 24,000 nuclear weapons, is something relegated to history texts in a society whose incoming college freshmen this fall were born — sit down for this, people with Beatles records in the basement — in the year 2000. 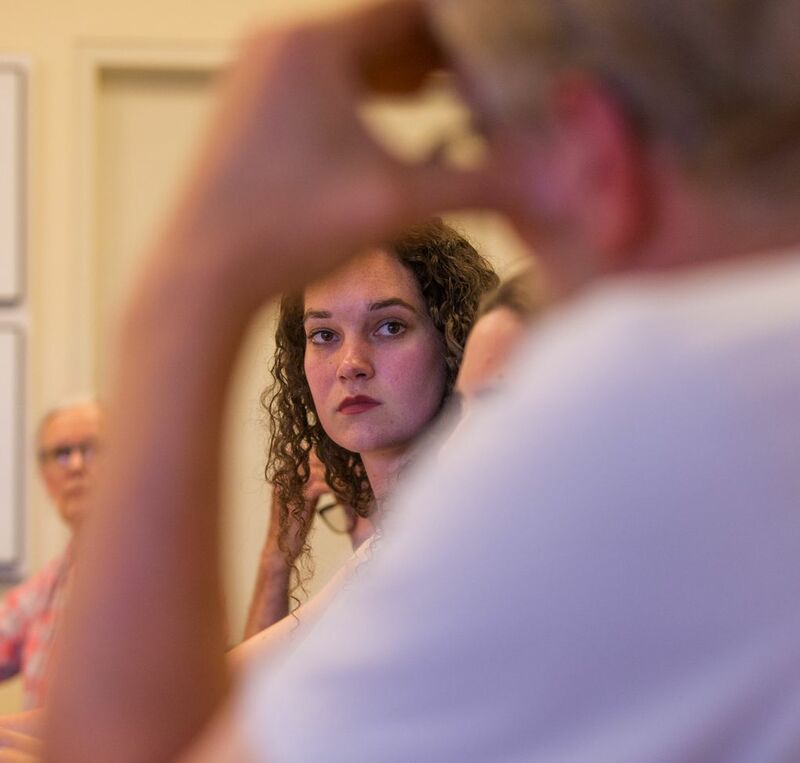 Younger activists echo that assessment, but say some of their peers do express interest in nuclear anti-proliferation causes once they’re educated about the scope of the problem. Some make a leap from environmental activism to nuclear protest, but it’s not a natural progression, says Lauw. “Someone has to introduce it directly to their face,” she says. The education need not be heavy-handed, notes Maia Sugiyama, another young Seattle activist who has lent her skills to Physicians for Social Responsibility. Sometimes even humor can be employed. She doesn’t hesitate to open discussions with friends about nukes by noting that “Sponge Bob SquarePants,” the cartoon character with which many of them grew up, was, in the mind of his creator, the result of a nuclear experiment at Bikini Atoll. All is fair on the road to nuclear awareness. Sugiyama says she does see progress among her generation, but much of that has been fueled by fear induced by Trump’s open talk of nuking U.S. foes. “More people are afraid of nuclear weapons now,” she says. BUT ACTIVISTS aren’t counting on the Trump effect to grow political constituencies. 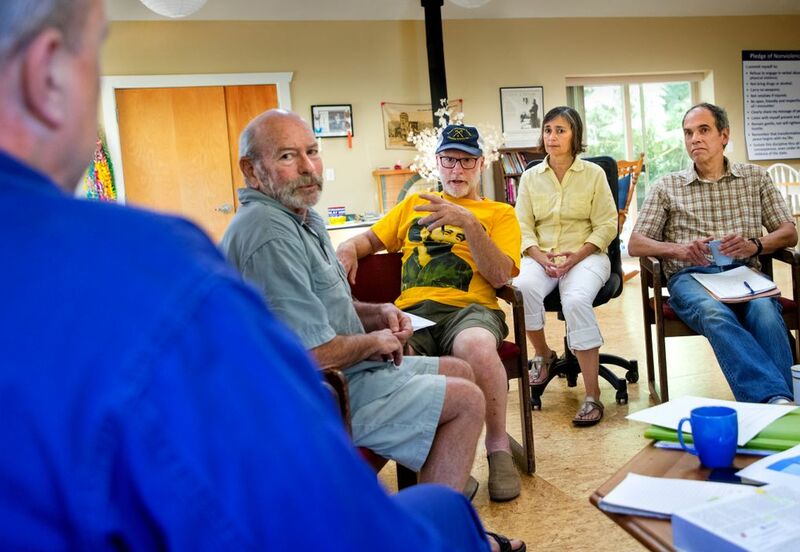 Physicians for Social Responsibility recently formed a new group, Washington Against Nuclear Weapons, to try to bring more trade unionists, environmentalists, social-justice warriors, deficit hawks, military veterans, religious groups, public-health advocates and others into the anti-nuke fold — or at least the nuke-aware fold. They hope it will become a model. 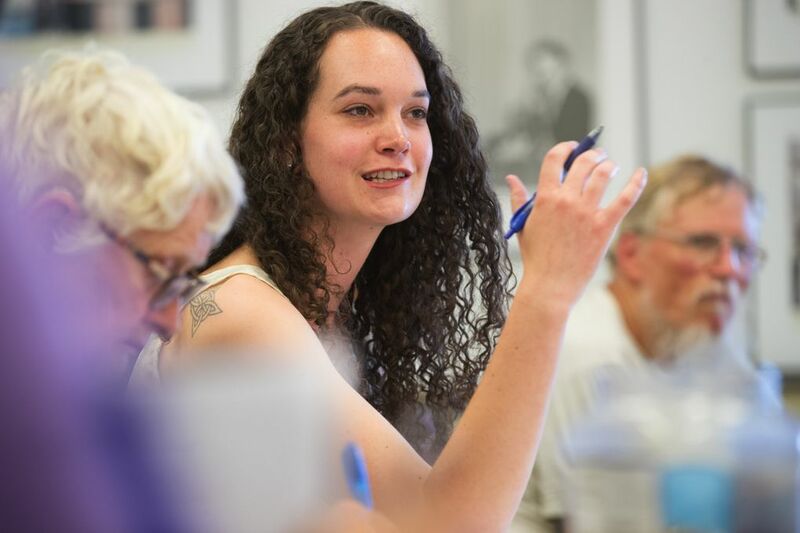 Program organizer Lilly Adams, 25, says she grew up in Shoreline, attending public schools, and was never made aware of the large nuclear presence in her midst until she became politically active on her own. The high cost of building and maintaining the weapons, at the expense of social needs, is a good icebreaker, Adams says. She acknowledges the challenge of pushing that agenda in a society where any politician advocating cuts in military spending is derided as “soft on defense.” But she believes there’s room for gradual culture change in Congress. THE BIGGEST WEAPON in the quiver of local anti-nuke evangelists, ironically, might be Donald J. Trump. 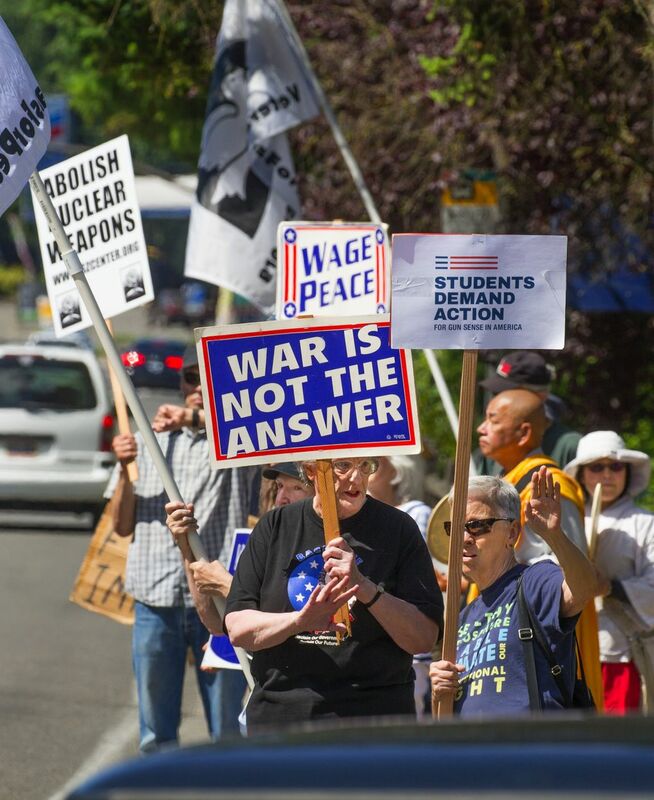 Most local peace activists agree that the president’s bellicose threat of the use of nuclear weapons against foes such as North Korea and Iran has been a shot of cold water to the face of a slumbering public. But the presence of Trump’s finger on the button, in an “outdated and dangerous” Cold War missile-launch system, also pushes the world closer to a nuclear confrontation, Adams says. Trump’s Nuclear Posture Review earlier this year was a “dangerous departure” from the recent bipartisan tradition of pushing disarmament, and advocates the development of more “low-yield” devices that critics say enhance the chances of a nuclear exchange, Adams adds. If Trump gets the urge, don’t bank on some military Dudley Do-Right high in the chain of command to stomp out the figurative fuse, says one prominent Ground Zero member, Tom Rogers of Poulsbo. Rogers, a retired Navy attack-class submarine commander turned peace activist, recently spoke to a Port Orchard service club luncheon where the membership consisted largely of local business types. They really wanted to know: Could the president, who seems prone to self-destructive behavior and fits of anger, really order a nuclear strike all by himself? And if so, would it be carried out? Yes, and yes, Rogers replied, noting that the chain of command for launches is terrifyingly short, due to the Cold War need for a swift response to a possible first strike by the former Soviet Union. And that, he says, is what keeps him devoting his golden years to hitting the streets with a sign. He believes that his grandchildren shouldn’t have to grow up with the looming threat of annihilation from nuclear weapons. 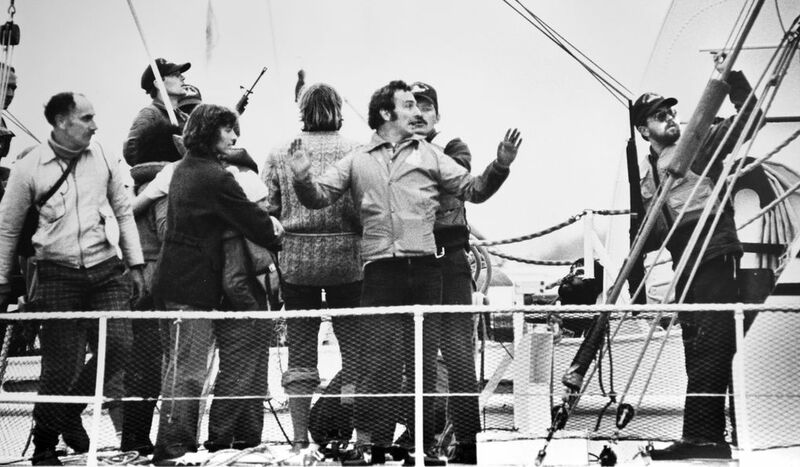 Back in the day, the recently departed Catholic priest Raymond Hunthausen fought to keep ballistic subs out of local waters, dubbing Bangor “The Auschwitz of Puget Sound.” A lot of people called that overstatement. Rogers isn’t sure. “You can’t win a nuclear war. Anybody who thinks there can be a limited nuclear war hasn’t really thought about the problem. It would escalate out of control within hours, to a full-scale nuclear exchange. Literally billions of human souls would die over the next few years.